December 21st, 2012 is a day I won’t ever forget. The so-called, “End of the World” phenomenon was supposed to take place. Unfortunately, we’re all still here. Thinking back on this, I don’t think the world has been this bad since 2012. Maybe the world did end that day and we’re all living in an alternate reality where it’s all going to shambles. I don’t know, but I do know that the world is rearing its old head and if we don’t take action now, it’s gonna get bad…real bad. Let’s start with Global Warming, shall we? There is a whole “Conspiracy” about whether Global Warming is real or not, but if you were to just do a quick Google search, you can see research from actual scientists who know what they’re talking about. I hate to be the person who pushes their agenda on others, but this could massively affect our planet in a way that is so terrifying. Let me just open the door for you, though, just so you can get the whole picture. All icebergs will have melted, leaving the Arctic bare which, in turn, raises sea levels. Not to mention it can awaken any hidden bacteria that might have stowed away in the ice, leaving us defenseless as to what’s been unleashed. We are destroying our planet little by little with the constant pumping of aerosols in the atmosphere. Another thing is extinction. Extinction can be due to many factors, almost all of which are man-made: poaching, habitat destruction, littering in oceans, etc. We’re losing tons of amazing species every day due to us. Animals like reindeer, great white sharks, beluga whales, green turtles, spotted seahorses, rhinos, gorillas, orangutans, snowy owls, and giraffes, to name a few. A ton of these beloved animals are dying every day at our expense. Not having these animals harm us in many unexpected ways. We depend very heavily on some of these animals. Take bees, for example. They pollinate our crops which in turn grows food that we eat, but because we use such heavy pesticide to prevent other bugs from spoiling our food, we end up killing them off. Not only are we directly killing them off, but we also destroy their habitats quickly. While this can GREATLY benefit our environment, it can also be quite expensive to replace. All equipment would need to be specialized to manufacture the hemp into paper. Unfortunately, money is always the main priority when it comes down to the government, and paper is cheaper to make from wood than it is from hemp. So you can sort of see why the government would want to put a bad rep on hemp as a way to not raise any suspicion as to why they take the cheaper route. I’m not saying that the government made hemp illegal because of this, but that’s also exactly what I’m saying. Because we kill off so much of our forests and with the rate it takes to restore them, we leave many animals homeless. We also take a good amount of their necessary snacks, like palm oil, and pollute their oceans with our garbage. Plastic, being the most prominent form of waste, tends to find its way across our oceans and has constant run-ins with its inhabitants. 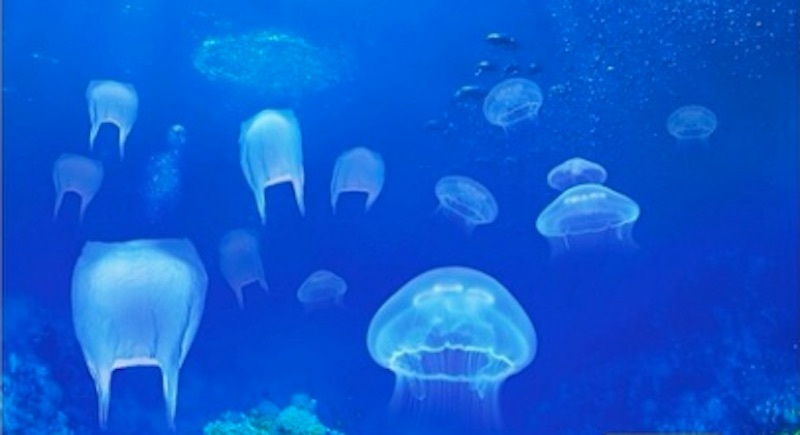 To a turtle, a jellyfish and a plastic bag tend to look very similar (as seen in the picture), so instead of devouring a tasty snack, they end up suffocating on a grocery bag. We are losing and hurting these animals with no end in sight, and while it might not seem like you could make a huge difference, just don’t actively litter, and if you can, use more reusable items in your day to day life; that would greatly help. Things like metal straws, reusable bags, mason jars, and decomposable wraps can make a world of a difference and save you money too! It seems that we’re being neglected alongside the animals as well. 12.3% of the population in the United States is experiencing some form of poverty, according to the Center of Poverty research of California. But what exactly is poverty? A ton of these issues can be completely fixed if only the government spared a little money and attention to it. Take Flint’s water crisis for example. It’s been 1,462 days since clean water has run through the faucets of those in Flint, Michigan. This started in 2014 and it would take approximately $55m to fix permanently. And according to cbsnews.com, “The wall that President Trump has vowed to build along the U.S. border with Mexico could cost more than $21 billion.” Instead of fixing things that aren’t broken, how about we start by fixing the current, urgent, and actually important problems first. We can relocate and restore the low-income families so they can be in livable conditions and give their children a good educational atmosphere if we’re able to draw more and more attention to this growing problem. In my opinion, someone shouldn’t have millions and millions of dollars to blow on a new Lambo while there are people out there wondering where their next meal is going to come from. We have so many problems with society. Racism, sexism, homophobia, & hate. They all are so unnecessary. What is it to you that a woman gets paid the same amount you do? What is it to you that that Mexican family is enjoying a nice picnic? Why don’t we all just mind our own business? If we all pitch in and mind our business and stop harassing and belittling people day by day I’m sure life could get somewhat more bearable. I think the world is ending. Our society is going against one another, people and animals are dying, people are suffering, the government is turning a blind eye to those in need, and the earth is being worn out. If we don’t change now, it could be the end of the world as we know it.